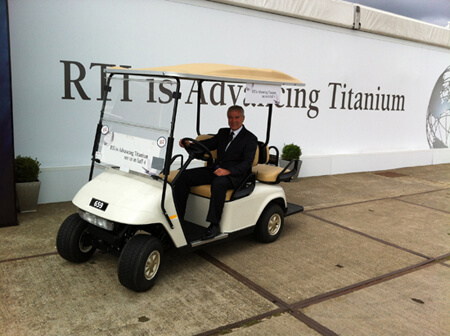 Pete took up a new mode of transport and role as driver of the RTI golf buggy during RTI International’s successful week at the recent Farnborough Airshow. It may only have an electric motor but Pete did manage to build up a bit of speed in the buggy, especially when going down hill and his hand signals have come on a treat! All passengers were safely taken to their required destinations at the show, no golf clubs required!